Can you tell us how did you get interested in edible insects? 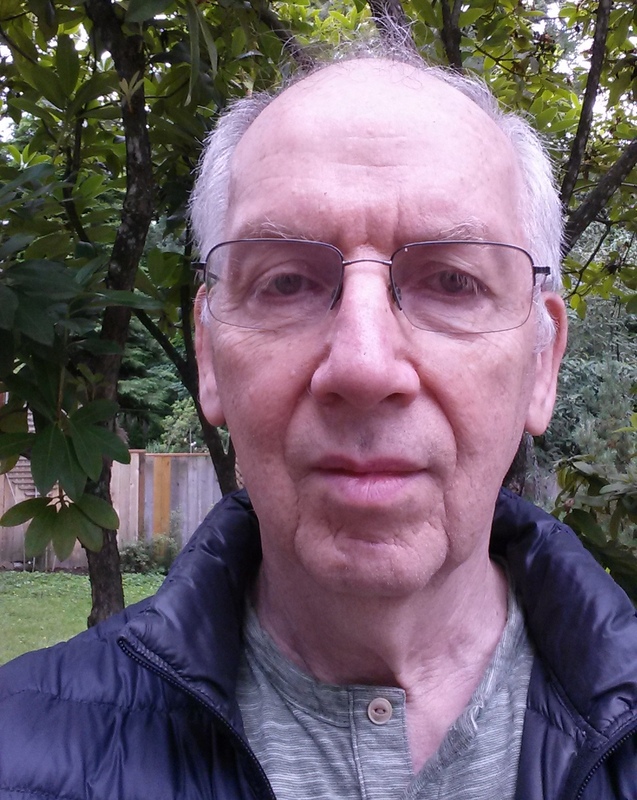 At different times as a scientist and businessman I have bumped up against very surprising discoveries with regard to insects and the remarkable traits and behaviors that they display. About 10 years ago while researching microbial techniques in recycling biodegradable wastes, in particular, food waste, I became aware of a number of research papers describing the Black Soldier Fly (BSF) (Hermetia illucens) and its unique ability to grow off of organic wastes. I found information on how to grow and scale up BSF production however lacking. It seemed obvious that scaling up BSF production grown off organic wastes could be very beneficial on many fronts, not only in developing a technology for offsetting over fishing of the world’s oceans by producing an alternate high quality fish meal substitute in the form of harvested larvae, but also as a means of reducing the pollutant byproducts given up into the atmosphere and waterways associated with the decay of nutrient wastes. Figuring out how to grow and harvest BSF off wastes efficiently and economically on an industrial scale is intellectually challenging and has also drawn me like a magnet into work in this area. 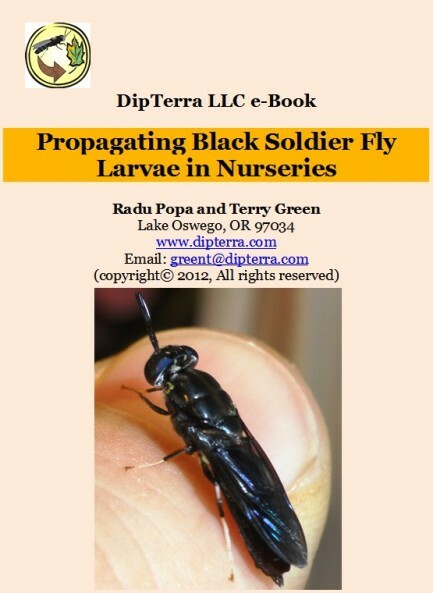 You recently wrote an article where you essentially say that in the BSF (Black Soldier Fly) industry enthusiasm and interest are much more consistent than scientific know-how, researches and industrial processes. Why? There are several scientific, design and engineering challenges needing attention in scaling up BSF production that have been glossed over in the excitement of promoting this promising technology. The gap between hype and know-how is still pretty wide, but to give you some idea of the gaps between promotion of the technology relative to what is actually known consider, for example, that the industry as a whole has been largely silent in addressing the phenomenon sometimes referred to as “colony collapse” (a sudden and unexpected biological die off of larvae) that can disrupt and even shut down a plant operation for months on end. Very little in depth research has been done investigating what circumstances lead up to and trigger “colony collapse”, what to watch for ahead of time, and how to avoid it from happening. Additionally, companies working in this field for the most part are pursuing scale up production of BSF larvae using small shallow plastic bins and totes (or in some instances bins made of stainless steel). The upfront cost in purchasing and installing these types of processing units in a production train, and the labor involved in managing and overseeing this kind of “bucket brigade” operation, is exceedingly costly and intensive. The small plastic and stainless steel processing units also do not materially stand up to the mechanical and environmental stresses encountered in moving tons of waste through a processing train. The incorporation of stainless steel in processing bins, furthermore, poses some risk as a source for introducing toxic heavy metals such iron, chromium and nickel into larvae harvested from the waste, tainting the end product. To get to and sustain an industrial output amounting to several hundreds of tons of harvested larvae per year, companies farming BSF should consider moving away from the current bin and tote processing train systems so ill-suited in processing waste when pursuing industrial scale targets. Whereas there is a lot of interest in farming BSF on a commercial scale off wastes, companies working in this area for some reason, perhaps in the rush to be first to claim scale up success, have not put enough time in designing and testing layouts in the processing train better suited for scale up than the bin and tote technologies presently in use. Regulatory and safety guidelines, and standard food safety quality control measures, have all yet to be drafted and implemented regarding assessing the safety and quality of harvested larvae grown off of wastes planned to be sold and used in animal feedstocks. In addition, there is a real need for companies claiming expertise in commercially farming BSF to report harvest yields and bioconversion ratios for larvae grown off of wastes in standard units that can be compared and which would lend much more transparency in the industry in helping interested parties assess progress in advancing this technology. These examples, while not all inclusive, highlight some of the most noteable shortcomings and gaps in BSF technology relative to our current collective knowledge base which cause me to have concerns about hype presently outpacing know-how in this field. Is the BSF industry so far from a real, serious and effective massive production? The industry still has some ways to go. I believe there will still be a fair amount of trial and error over the next few years as people struggle to overcome some of the technical challenges facing this industry in getting production up to a steady-state on a scale reliable enough for commercial feed processors to commit to buying larvae grown off wastes. I think companies need to also expand their vision in looking at other byproducts that can be marketed while farming BSF on an industrial scale to help generate sufficient revenues needed in keeping their operations viable. Is mechanization the only way to lower the production costs in the productive chain? I think more design and engineering work needs to be done in planning and testing the processing train in scaling up BSF production before it is possible to comment much on the impact of mechanization on production costs. Certainly mechanization is important in getting production costs down. What are the biggest problems you’ve to face “on the field” when you decide to run a BSF business? I would distill this down to the following assuming your question is about starting up and operating a viable commercial BSF facility (recognizing however that there is no large scale market which could offset the cost of operating a scaled up BSF plant facility at the present time here in the US or in Europe pending regulatory approval by government agencies in opening up the opportunity to sell BSF commercially as animal feedstock). First, recognize that because this industry is still in its infancy there is no proven blueprint on precisely how to successfully operate a commercial plant, and that there will accordingly be significant risks that must be borne in getting your plant up and running successfully. Scaling up cannot be done on a shoestring budget. Be realistic. 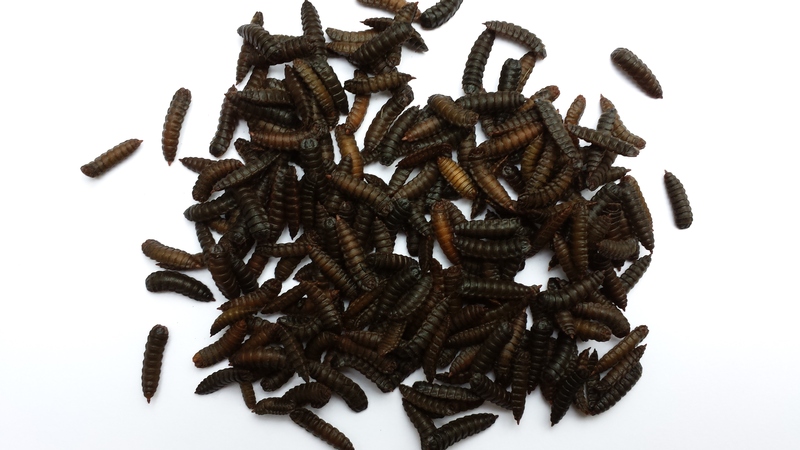 Estimate potential revenue streams ahead of starting up based upon the mass of larvae and accompanying waste needed in reaching your production target. Cost out the logistics in setting up the operation before charging ahead unprepared. Budget capital expenditures keeping in mind that it is very likely that the operation may take upwards of five (or more) years before reaching a breakeven point under the best of circumstances. Think carefully about the possibility of integrating plant operations together with a private or public composting operation where regulatory approvals for processing wastes, common land spaces, mutual synergies in dealing with different forms of wastes, and common hauling and loading equipment shared between the two industries could be of great advantage in keeping costs under control. Second, bring in experts with hands on experience in working with BSF to help get your company up and running. This will save a great deal of time and expense in not having to re-invent the wheel. Third, start with a layout design scaled to about 10 to 20% of your target goal and thorougly vet its performance before scaling up to 100% operational capacity. Make certain that you have planned/budgeted for disposal and/or sale of spent waste on which the larvae will be grown and that you have vetted this aspect of the operation before scaling up to full capacity. Lastly, recognize that you will be dealing with decaying waste with all of the attendant problems this can create as a nuisance to neighbors down wind. You will very likely for obvious environmental reasons accordingly need to budget additionally for odor control and proper disposal of spent wastes and byproducts. Can you explain the importance of the substrates in BSF farming? What’s the best formula? BSF larvae cannot process wastes made up principally of complex cellulose or lignocellulose fibers (the types of polymers present in solid wood, sticks, straw, barks, cardboard, paper, etc.). They also have difficulty breaking down waste too rich in lipids, for example, wastes heavily loaded with grease, vegetable oils, or fats. They can handle meats so long as the composition in the waste is not more than about 10 to 15% of the waste, but fail to thrive on too rich of a meat diet. BSF grow very well off ordinary food waste (pre- and post-consumer) including all types of vegetable and fruit scraps, fish offal mixed with discarded produce, carbohydrate rich scraps of food (spoiled breads, cakes, flour, cornmeal, cereal grains, baking batters, pizzas, peanut butter leftovers, etc.). It is well known that they also grow off animal manures though at a lower yield per unit dry weight of waste relative to that of food waste. Waste should be macerated or shredded for optimal presentation in maximizing its surface area. Larvae feed on nutrients in the waste, microbes growing off the waste, and byproducts released by microbes feeding on the waste. Increasing the surface area markedly enhances the synergistic interactions between larvae and microbes and it also enables larvae better access to the nutrients in the waste. What are the products DipTerra is actually marketing? DipTerra’s principal business is in consulting work, in providing knowledge and trouble-shooting support in helping companies and entrepreneurs get up and running in farming BSF. We sell BSF prepupae and young larvae in various stages of their life cycle in addition to eBooks on BSF and the technology of working with BSF. We run field tests year round in vetting and evaluating various design layouts and strategies under contract aimed at maximizing BSF larval production at our test pilot plant. The pilot plant test site has been in continuous operation now for approximately five years. Our annual production is minimal since our company’s focus is principally in R&D and consulting work regarding how best to manage BSF grown off of waste. In conducting tests on different techniques in farming BSF we process between 15 and 20 tons of food waste per year at out pilot facility. The test facility operates 365 days per year. Can you make a commercial-development forecast for the BSF industry in the next 5 years? I anticipate that significant progress will be made in advancing commercial production of BSF grown off of waste in the next five years. Much will hinge on the influx of capital and the simultaneous assembly of experienced design and engineering teams willing to take on the challenge in optimizing scaled up production of BSF. This is a worthy goal, but it is still going to take quite a bit of hard work and effort to see the technology through to a viable operation. I think it unlikely that any company presently working in this area will achieve commercial viability within the next five years. I don’t see this as a negative evaluation of the current state of the industry so much as a candid overview of the challenges still needing to be addressed in moving the industry forward toward self-sufficiency.